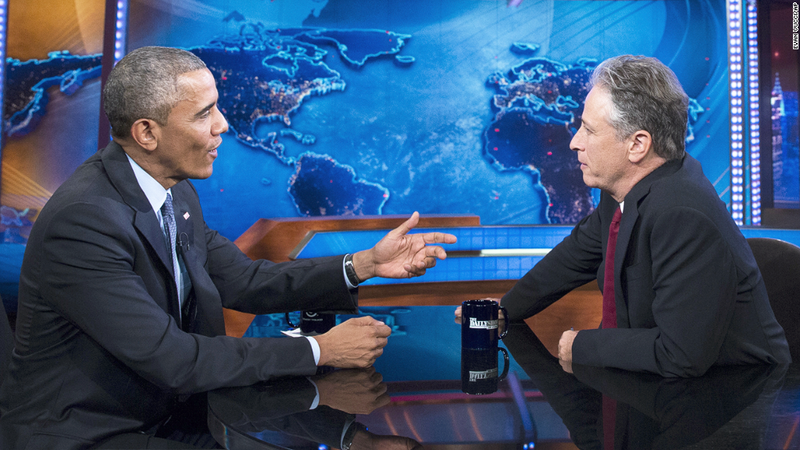 Obama to Jon Stewart: You're leaving before me? Jon Stewart took a night off Wednesday from talking about Donald Trump to cover another big story: the Iran nuclear deal. "We've been talking a lot about a certain Republican presidential candidate whose campaign has captured America's inability to turn away from spectacular man-made disasters," Stewart said on "The Daily Show." "Our incessant Trump-gazing has caused us to miss important non-Trump news." This led to a segment called "Terms of Enrichment" in which the satirical host called the Iran deal a "landmark, diplomatic accomplishment" before showing clips of critical politicians explaining why the agreement was a "historically bad" one. "Historically bad deal? Let me tell you something as a Mets fan ... I know a bad deal when I see one," Stewart exclaimed. Stewart then showed a clip of Sen. Lindsey Graham explaining on CNN that he thought the deal was terrible, even though he hadn't read it yet. "You didn't even read the deal? Basically, you're treating this critical international accord like some kind of a bizarro iTunes user agreement," Stewart added. "Blah, blah, blah, just skip all the details, go to the bottom, and click disagree." Stewart allowed that the deal isn't perfect, but wondered, "what is our alternative?" "Clearly, I think the Republicans just need to get behind someone who understands deal-making," Stewart then paused shockingly as a photo of Donald Trump came back on screen. "Unleash the Kraken!" The Iran nuclear deal was also a big point of discussion on Tuesday's "Daily Show," when President Obama made his seventh and final appearance as a guest. Jon Stewart signs off as the long-time host of "The Daily Show" on August 6.